The River is not a river. In this story perhaps it is, but one man's River is another man's Mountain, or Ocean, Flying, Biking, or Running. It is what makes a person who he is, a one word, oversimplified but equally complicated analogy that defines a life. 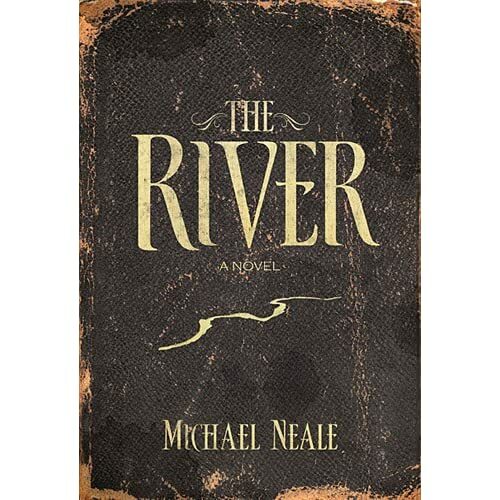 In The River, the debut novel by Michael Neale, it is a river in a Colorado canyon that defines not just one man, but three generations of men. The story begins with a hike in the woods. Father John Clarke and his five year old son Gabriel take a long hike to a beautiful view over the canyon and the river below it and engage in an intense game of marbles. While playing, they hear two kayakers in trouble, headed for an un-navigable section of the river that would certainly result in their deaths. In the process of rescuing the men John Clarke loses his life before young Gabriel's eyes. Gabriel, his little life shattered, finds himself living with his mother on a Kansas farm. He grows up, still haunted by the loss of his father, and becoming a young man who is quiet, reserved, frustrated, unable to really live. When his best friend calls one day and invites him on a camping trip to Colorado, he reluctantly agrees, facing his demons hoping to find himself were he was lost so many years before. Instead of finding himself in Colorado, he finds The River. It seems to call to him, speak to him, and draw him near. He becomes friends with Tabitha, a girl he meets on the trip, and she invites him to Colorado for the summer to work at her father's white water rafting camp. He agrees, after being drawn both to Tabitha and The River, and the trip changes his life forever. Gabriel finds himself, but also finds his home. The River is a nice story about a boy fighting his demons, over powering them, and becoming a man. I enjoyed reading it; freshman author Michael Neale is a good storyteller. Although I liked the book, I feel Mr. Neale tried too hard to make his point about the role of The River in the story. For example, he capitalizes The River at every mention, uses the words The River more often than would be natural, and includes scenes where dreams and reality are confused. All of this was unnecessary, the spiritual and metaphorical significance of the river was well made without it, and it could be argued that overdoing it in that sense detracted from what someone else's metaphorical River could be. There are also several other relationships in the book that had great potential and could have been much further developed. Gabriel and the farmer with whom he and his mother lived; Gabriel and Tabitha; Gabriel and his mother. All had potential, but left me wanting more. Despite the criticisms above, The River is a great story of a boy becoming a man, overcoming his demons, growing strong and confident, facing his fears, and finding success despite the serious blows and set-backs. That story is always empowering for me.